Winner of the Lenovo ThinkCentre M90z! Thank you to all the educators who participated by populating the spreadsheet with almost 200 interactive tools that would take advantage of the touchscreen on the Lenovo ThinkCentre M90z. The spreadsheet is located here if you are interested in viewing the list of the tools! I used the Random Name Generator suggested by Richard Byrne, to pick the winner. It is a great little tool and one you should put in your classroom technology toolbox! The winner of the Lenovo M90z is Megan Black! Congratulations to her, and thank you again to everyone who participated! And thanks also to Lenovo and Ivy Worldwide for running this contest! If you wanted some other chances to win a ThinkCenter M90z, take a look at the list below for additional giveaway contests! There has been much positive feedback to my Bloomin' Google page (http://kathyschrock.net/googleblooms/) Thanks to all who sent me notes! But, through my Google Alerts, I have seen that others are questioning the use of the tool and where I placed things and the limiting of the creativity of teachers. (Geesh!) There were various reasons for its development and why I put things where I put them. Finding and utilizing ALL of the Google Tools gave me a good 100 hours of experience across the board. I was able to eliminate the tools that are just information sources and focus on the rest. Being an a avid follower and studier of Andrew Churches work with the Revised Bloom's Digital Taxonomy for the past year, I feel I really understand how it works. I had created, with his permission, my own version of the triangle using mainstream Web 2.0 tools and utilities, and had been showcasing that in various presentations. 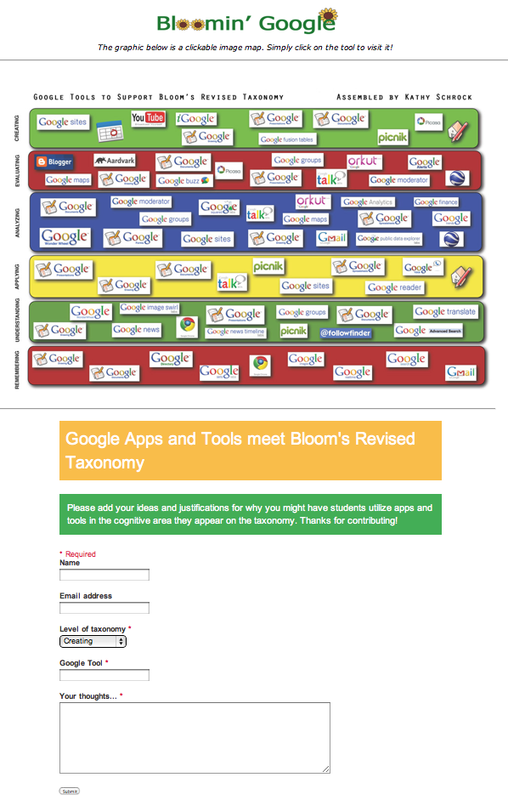 As a Google Certified Teacher, I wanted to see if Google even HAD the tools to target each level of the taxonomy. I made the decision as to what level I assigned them to based on my years of experience with teachers and students and curriculum and assessment. Another of my goals was to introduce teachers to the "less common" tools in hopes they would explore them. I, too, found out so many cool things about the tools while working on this project. 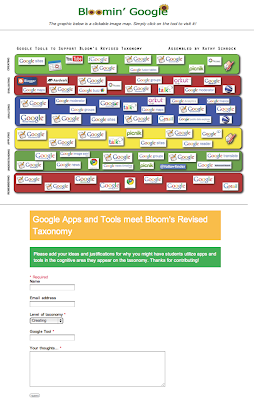 I have since adapted my presentation about the Digital Taxonomy to showcase the lesser-known Google tools that can be used at various levels. I stand by my choices, and could have included the rationale for why I put things on the various levels. It truly was hard to do, and I put a lot of thought into it. However, I felt it was better if I stepped back and allowed the creative teacher minds to contribute to the spreadsheet of ideas both with their successful practices and ideas sparked by "Bloomin' Google". In addition, there has been some chatter as to the Creative Commons license type I assigned to the information I created. I don't want alternate versions out there that are attributed to me. This one is mine, and you can use it, but think about ways you can develop your own. For instance, if you are a content area teacher, create a Digital Taxonomy using the online tools and sites relative to that content area. (You are the creative content expert, not me!) Provide the justification for what you picked or provide a form for others in your content area to add to the information you present. I hope this provides information in addition to the 140 character tweet that announced the project and the previous blog post! 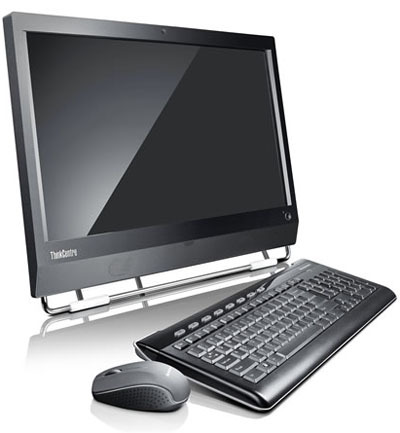 I am part of the second round of the giveaway promotion of the Lenovo ThinkCentre M90z. This promotion, administered by The Influential Network on behalf of Lenovo, has people in various jobs create a contest to support their area of expertise. Each giveaway is run for 5 days and, once it is closed, a single winner from each contest is chosen to receive a ThinkCentre M90z from those who participate in the contest. There are a few of us in the educational technology field participating in the giveways, and, since one of the participants has his contest running first and had the same idea as I did, I am going to change my parameters. Richard Byrne will be gathering the information I was interested in and there is no reason to have it duplicated. I posted a blog entry about my initial impression of the Thinkcentre M90z here a few months ago. You might want to read it and read up on this great new machine! My contest runs from April 18, 2011 at 6am (UTC -4:00) until April 22, 2011 at 7pm (UTC -4:00). The winner will be chosen randomly and announced on this site at 8pm (UTC -4:00). My contest will be open to anyone in education (whether practicing teachers, undergrad or graduate education students, or educational consultants) and will ask participants to contribute an online resource that works well (and is pedagogically-sound) using the touchscreen of the Lenovo. Our students are very "into" touchscreens with the influx of tablets into schools and their own personal lives. I have seen young children try to use a desktop computer's screen as a touchscreen, and, of course, it does not work! 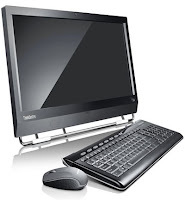 However, this model of the Lenovo Thinkcentre M90z DOES have a touchscreen, so I will be asking you to find some good resources to take advantage of that capability. Update April 18, 2011: Link to my contest page!